On January 24th, 2018, Florida’s Fourth District Court of Appeal ruled in favor of the defendant (a real estate developer) in the case of DFG Group, LLC, et al. vs Heritage Manor of Memorial Park, Inc., et al. This appeal was centered around a jury award for attorneys’ fees and punitive damages. This decision was especially notable because the court stated that the conduct of the developer was “reprehensible”, but it nonetheless denied the plaintiff’s claim for attorneys’ fees. In this post, our experienced Miami business litigation attorneys discuss the important details in this case. Then we explain why the Fourth District Court of Appeal determined that it did not have the legal authority to award attorneys’ fees or punitive damages to the plaintiff. In this case, the ‘sellers’ retained the services of law firm in order to represent them in the sale of a cemetery. That property was purchased by the ‘developers’ for a price of more than $6.1 million. While the deal was seemingly completed without any major issues, the sellers had no idea that their law firm was actually working on both sides of the transaction. When the sale was finalized, the sellers’ attorneys received a $100,000 kickback payments from the developers. Eventually, the sellers found out about the arrangement. They filed a lawsuit against their law firm and against the developers. The sellers alleged that the misconduct resulted in them receiving less than fair market value for the property. A jury heard the case and determined that the sellers actually sustained $0 in damages related to the sale price. The price was fair market value. 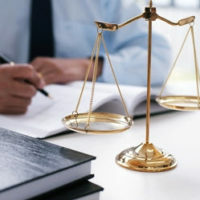 However, due to the clear nature of the misconduct, the jury awarded the sellers $2 million in attorneys’ fees and another $2.1 million in punitive damages. The developers immediately filed an appeal. In its opinion, the Fourth District Court of Appeal highlighted the fact that, with limited exceptions, damages are meant to be compensatory in nature. In this case, the jury determined that the sellers did not actually sustain any compensable damages. This was because the evidence presented to the court suggested that the sale price was not below fair market value. While the court noted that the developers behaved in a “reprehensible” manner, the court also made clear its view that without an underlying award of compensatory damages, there is no mechanism to punish the defendants. As such, neither attorneys’ fees nor punitive damages can be awarded. Both were vacated. At Pike & Lustig, LLP, we have extensive experience handling complex business litigation cases. To get more information about how we can assist your company, please call us today to schedule a free case review. With offices in West Palm Beach and Miami, we represent clients throughout South Florida, including in Fort Lauderdale, North Miami Beach, and Hialeah.